Welcome to Born Aviation Products! 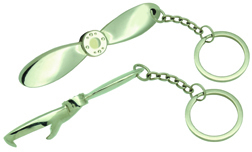 We are a Wholesaler of aviation related gift items. We do not sell to the general public. If you are a bonafide retail outlet or an organization acting as a retail outlet, you may receive one of our catalogs by filling out the information in the above link titled "Request Catalog". For those retail outlets who are already on our mailing list, please check to be sure that you have the current catalog pictured at the lower left of the page. WE DO NOT HAVE OUR ENTIRE CATALOG ON LINE FOR NONCUSTOMERS. However, if you are a current customer you can see our entire catalog online by clicking on the button order online. The 75th Anniversary of D-Day is coming up June 6th 2019. We have a wide variety of items to commemorate this occasion. We can also create something just for you. Check out our new line of Apollo 50th Anniversary and NASA merchandise. Full line of products for the celebration of the 50th Anniversary of the Apollo program and NASA. Online! 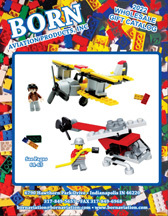 If you already have an account with Born Aviation and would like to place your order online, please click HERE. If you do not have an account with us, click HERE to order our catalog or email us for more information.